The grand redesign of the Disney California Adventure theme park, which was completed in 2012, featured two major changes – Buena Vista Street would provide the park with its own version of Main Street, U.S.A, and Cars Land would be the first “land” in a Disney park fully recreating a film setting. Both additions have been meet with universally rave reviews, but that does not mean everything was perfect. Disney has announced a completely new version of the Luigi’s Flying Tires attraction will soon be installed. Find more details after the break! So we have a preliminary opening date of early 2016, which could technically be anytime from January to April. 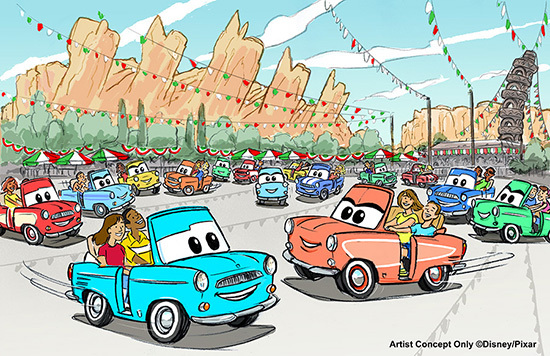 We also have concept art of what the attraction will look like (above) – there will be a new ride, but it looks like the immediate surroundings will remain intact. 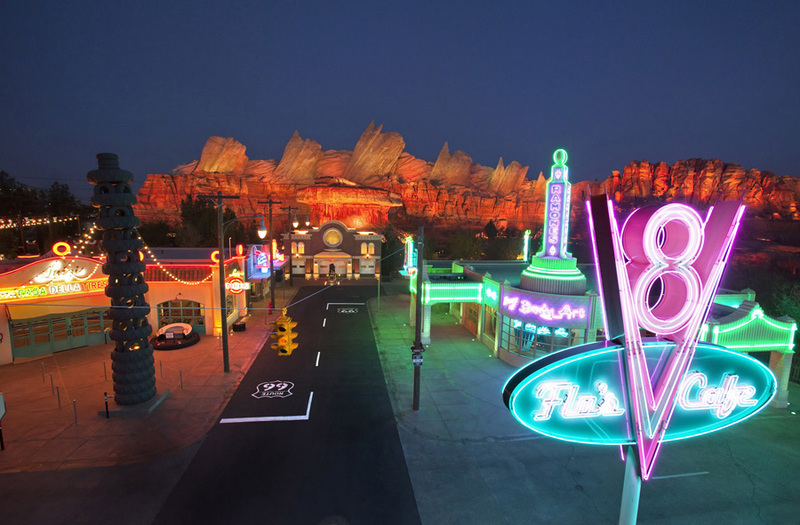 After all, Cars Land is billed as an authentic recreation of the Radiator Springs seen in the Cars films, so Casa della Tires has to stay the same. The only details we have is that the ride “will feature a new ride system and ride vehicles,” not much to go on, which means there is much more information still to be revealed. It will be exciting to see how the new ride will compare to Luigi’s Flying Tires. If you want to get any last rides on the original attraction, you better head over soon.